These terms and conditions and the other policies posted on dinghyracingcentre.nl are applicable to all offers and agreements between Dinghy Racing USA and a consumer of Dinghy Racing USA, so far as the parties do not deviate expressly and and in writing from these terms. If items are ordered from Dinghy Racing USA, you agree to the terms in these agreements. All information on the website of Dinghy Racing USA (dinghyracingusa.com) is carefully composed. However, it is not inconceivable that some information is not correct, incomplete and / or not up to date. Dinghy Racing USA nor its partners are liable. Dinghy Racing USA is not liable for information and prices which are posted on the site by third parties, such as tariffs, communications and / or effects of any resulting transactions. Ordering is only possible through email of telephone. All orders are offered for delivery to UPS or FedEx within max five working days after the payment is received. If there are any technical failures, any technical failures are cases of force majeure, the order will be shipped as soon as possible. Dinghy Racing USA will keep you informed. We do all we can to keep our website dinghyracingusa.com up to date as possible, but there is still a chance an item is no longer available. Always contact us for availability and orders. The product must be delivered within 30 days after ordering to the consumer. If this is not done, the consumer can cancel the purchase immediately. This does not apply if the parties have agreed another delivery term. All prices on dinghyracingusa.com are in US dollars and exclusive sale tax (Colorado 2.9%). Consumers can only order through email or telephone. Delivery of the order will only take place if the payment is received by Dinghy Racing USA. Dinghy Racing USA will charge necessary shipping costs for shipping the items. Contact us for more information about the shipping costs for your address. The delivery time is indicative and is therefore never a deadline. All orders are offered for delivery to UPS or FedEx within max five working days after the payment is received. The carriers usually deliver within five days if the delivery address is in the United States. When ‘not at home’ the recipient receives a card in the mailbox with details about where the package can be picked up. Dinghy Racing USA can not be held responsible for untimely delivery by any carrier. The ownership of supplied items will only pass if all amounts payable under any agreement to Dinghy Racing USA are met. The risk regarding of the articles is transferred at the time of delivery to you. If the consumer, for whatever reason, does not wish to accept, one has the right to return the item to Dinghy Racing USA within 7 (seven) days after delivery. Returns must be made known in advance to Dinghy Racing USA and are only accepted if return instructions are closely monitored. If the clothing is worn and / or washed or is attempted to repair any defects they cannot be retuned. Returns are only accepted if the packaging (including labels) of the article is undamaged. It also applies that the costs for returns are paid by the consumer. Dinghy Racing USA refunds in no case the shipping / packaging costs. When returning items, according to the return instructions, Dinghy Racing USA will pay back the amount paid within 30 days. If there are questions or complaints about the purchased items, you are requested to notify us by e-mail (info@dinghyracingusa.com). One receives as soon as possible but in any event within three working days. All articles that are included in the assortment of Dinghy Racing USA comply with the stringent requirements of water sports and - clothes. Dinghy Racing USA warrants that the items to be delivered comply with the usual requirements and standards that and are free from any defects. If the delivered goods are defective, the liability towards the consumer is limited to the stipulations under ‘Satisfied, or your money back'. However, the liability of the items will always remain with the manufacturer. Dinghy Racing USA closes this divided responsibility for any damage, physical, material or immaterial, which would be the result of any malfunction or misuse of the items sold by us. When the manufacturer of a defective product is liable for consequential damages, the liability of Dinghy Racing USA is limited to repair or replacement of the article, or refund the purchase price. In addition, Dinghy Racing USA is not liable if the damage is due to intent, and / or failure to observe the washing instructions on the label of a product, or inappropriate use of the consumer. We accept no liability for damages of any nature whatsoever resulting from this website and / or decisions based on information from this website. Dignhy Racing USA will not be responsible for any circumstances beyond the control of the Dinghy Racing USA, unexpected cost increases (including in the cost of manufacture and processing or obtaining raw materials from alternative sources of supply) caused by unexpected events such as severe weather, or the amendment or coming into force of any legal provision adversely affecting Dinghy Racing USA in relation to the production, import, export or sale of any goods or any ingredients or materials for production of any goods. All information available on the website (text, logos, photos and videos) are copyrighted. It is not permitted to copy information originating from the Dinghy Racing USA website without prior written permission and / or to distribute in any form whatsoever. Visitors and users of the website can not claim any rights to the offered information. Only Dutch law is applicable to all rights, obligations, offers, orders and agreements to which these general conditions apply. In case of explanation of the content and scope of these general conditions, the Dutch text will prevail. All users of this website are considered to have taken note of and agree with the above conditions. 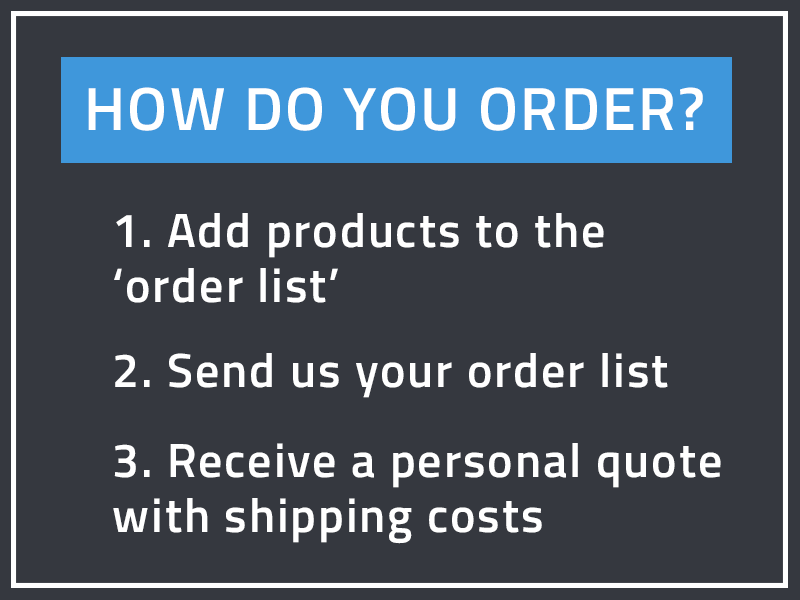 By placing an order, you agree automatically to our Terms and Conditions. Customers are also included in our customer base.